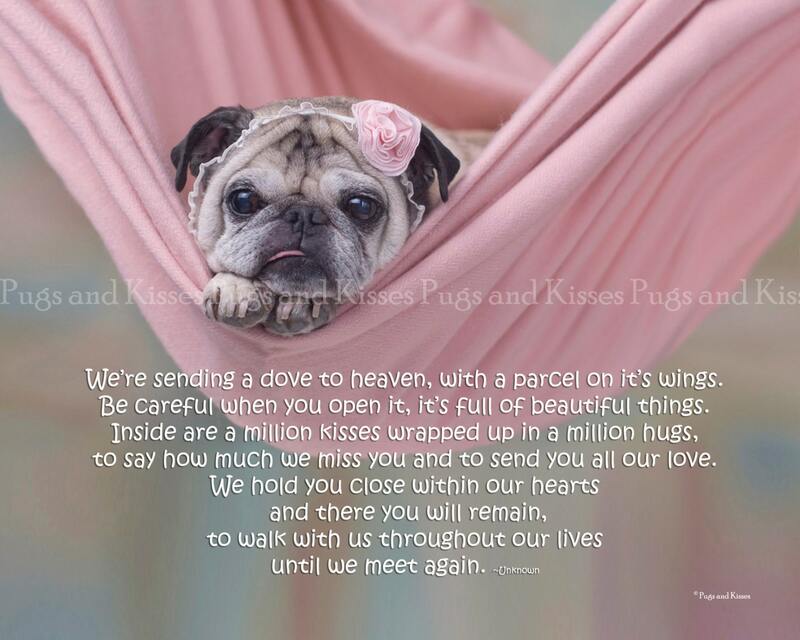 This item is a beautiful pet memorial and remembrance art print by Pugs and Kisses. It is entitled, "We're Sending A Dove To Heaven." This special print is a gorgeous reminder of our deep love for our special someone who has passed on. It makes a lovely sympathy gift for loved ones who have experienced a loss. We’re sending a dove to heaven, with a parcel on it’s wings. Be careful when you open it, it’s full of beautiful things. to say how much we miss you and to send you all our love. All photographs are professionally printed on archival paper and are gorgeous, high quality prints. The copyright across the image on your screen will not exist on the print you purchase. This print will be packaged and protected in a sturdy mailer with a cardboard insert.